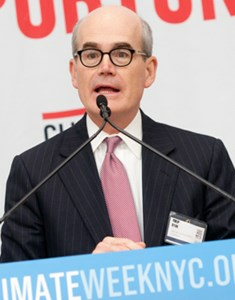 Philip K. Ryan resides in New York City and is Chairman of Swiss Re America Holding Corp., is active in several investments and is an Executive in Residence at NYU Stern School of Business. Mr. Ryan was Chief Financial Officer of the Power Corporation of Canada from January 2008 until May 2012. Power is a diversified holding company with interests in life insurance, wealth management and asset management. In that capacity, Mr. Ryan was a director of IGM Financial, Great-West Lifeco and several of their subsidiaries, including Putnam Investments. Mr. Ryan earned an MBA from the Indiana University Kelley School of Graduate Business and a Bachelor of Industrial Engineering at the University of Illinois.